"Political Climate," a podcast that tracks the politics and substance of global warming policy, has new partners and wider ambitions. 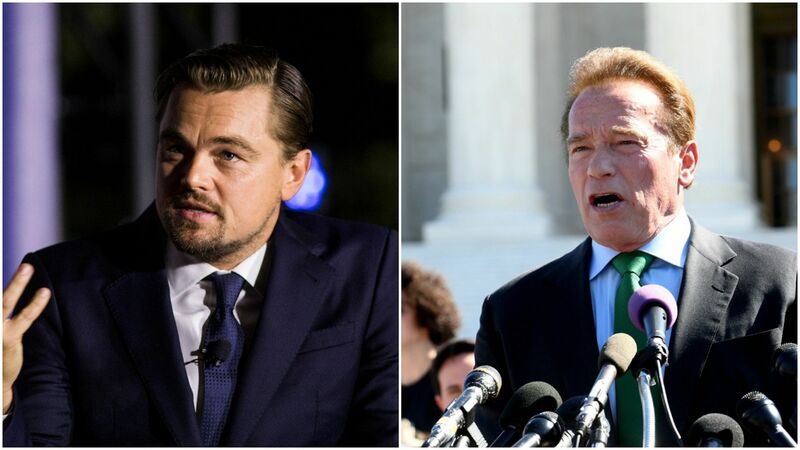 What's new: It's now backed by the USC Schwarzenegger Institute and Leonardo DiCaprio Foundation. The first episode of the new season landed this morning. "Political Climate" was previously a Greentech Media project, and Greentech's Julia Pyper will remain the host, but she's moving into a contributing editor role there and spending more time on the pod. Why it matters: Climate change has become a front-burner political topic in the 2020 White House election cycle, a break with past national elections. It's also a big focus on Capitol Hill. How it works: Involvement of Schwarzenegger's institute and DiCaprio's foundation will mean "collaboration on many activities including sponsorship funding, marketing support, guests, live shows, international events, calls to action, and engagement with students," Brandon Hurlbut, partner with the energy advisory firm Boundary Stone Partners, said in an email. Hurlbut, who served as chief of staff to Obama-era Energy Secretary Steven Chu, joins Pyper each week with Shane Skelton, a partner with the consulting firm S2C Pacific and previously a senior aide to former GOP House Speaker Paul Ryan. "As 7 million people die every year from pollution, the Political Climate podcast is bringing bipartisan conversations about energy and the environment to the public at a critical time and that's why the USC Schwarzenegger Institute is excited to partner with them."